These pictures show two plantings under oak trees, the one on the left receives morning sun all year round, whereas the one on the right only gets morning sun in winter when the neighboring sycamore loses its leaves. 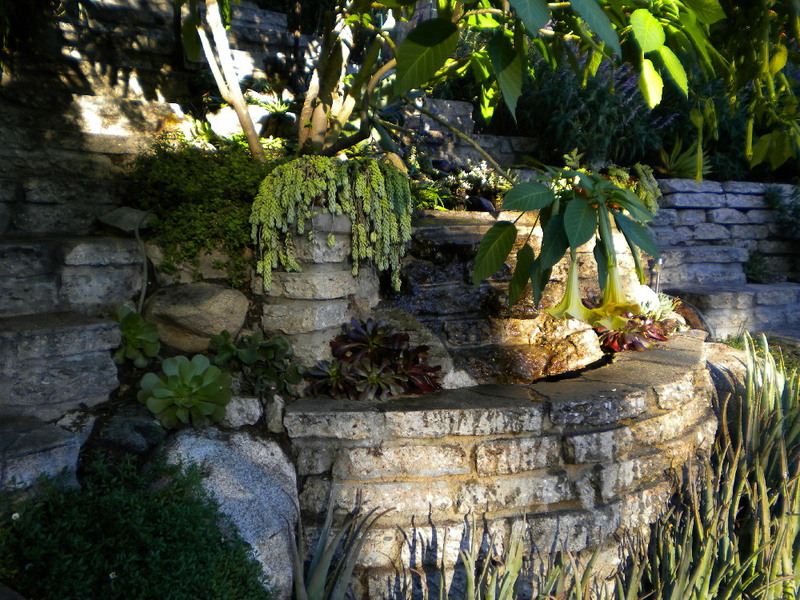 The characterful plants on the left never need maintenance and, after a couple of years, will virtually never need water. These are fire safe plants. 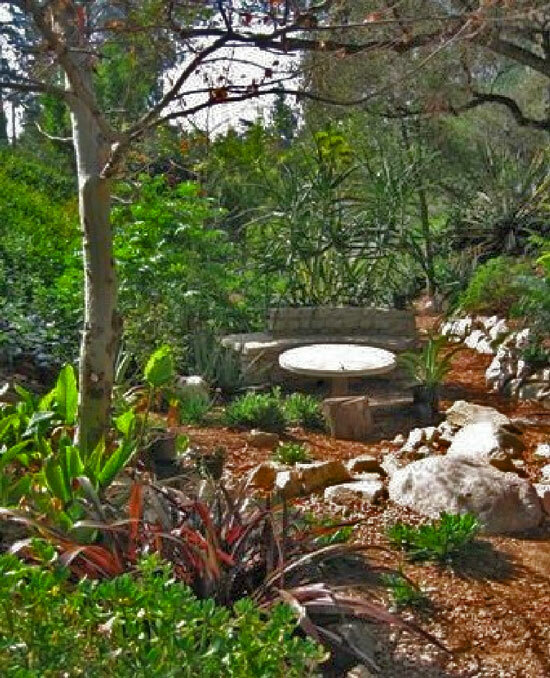 Bromeliads and many succulents (shown on the right) do well planted under California live oaks, and because they are drought tolerant and very shallow rooted they do not affect the soil negatively. Look what we found in the garden today: a praying mantis larvae case. it looks as if the larvae have fled the coop and we will have some nice big mantises stalking around the garden in summertime. Our mantis population grows every year and we love those quirky looking creatures. They take forever to pounce on their prey! They move so slowly that birds catch them alas, but everyone needs to eat. 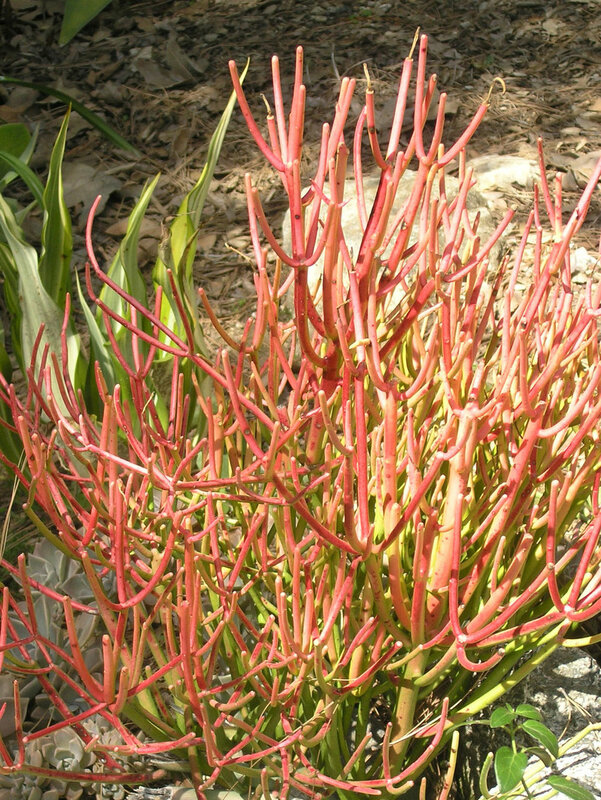 According to David Nellis in "Poisonous Plants and Animals of Florida and the Caribbean", Euphorbia tirucalli can infuse the soil around it with poisons in order to repel other plants. It is possible that these poisons are carcinogenic. I have removed several of my specimens and put the others into planters. The sap is very irritating to skin and eyes. Melianthus major (honey bush) from South Africa is extremely large and not suitable for a small garden. 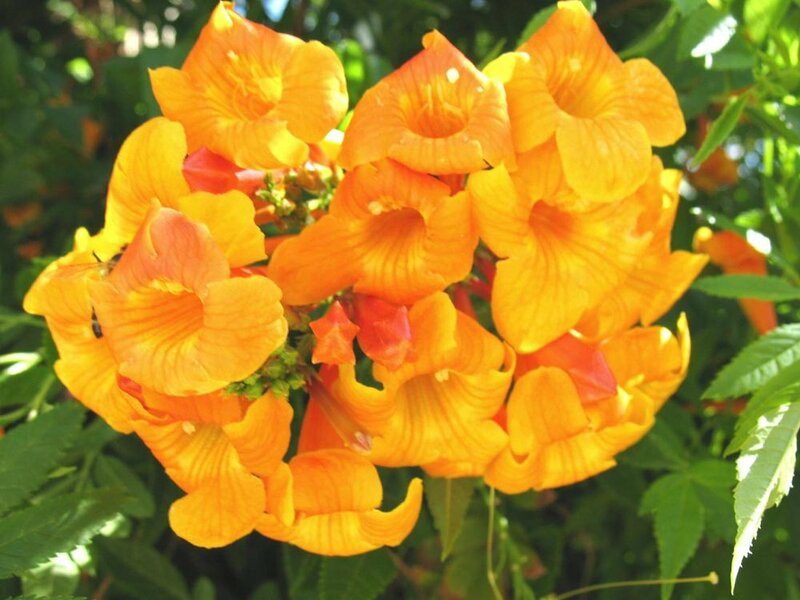 However, if you have space to plant this peanut scented beauty in a semi-shaded area you will please a lot of garden visitors. Orioles love its plentiful nectar. 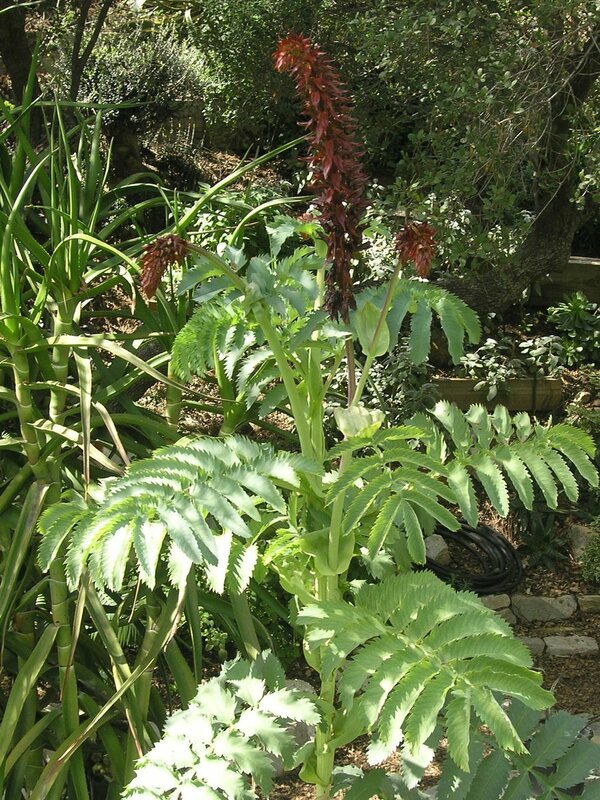 Melianthus major is drought tolerant, but might require monthly water in summer, depending on its geographical location. Cut the stems off to the lowest bud after it fades in early summer. 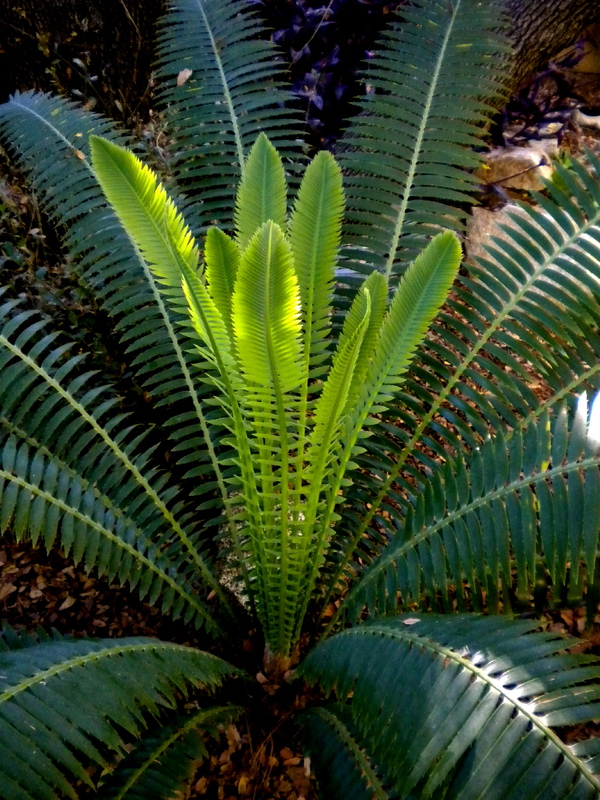 The plant will grow again into an attractive hump until it's time to bloom in spring. 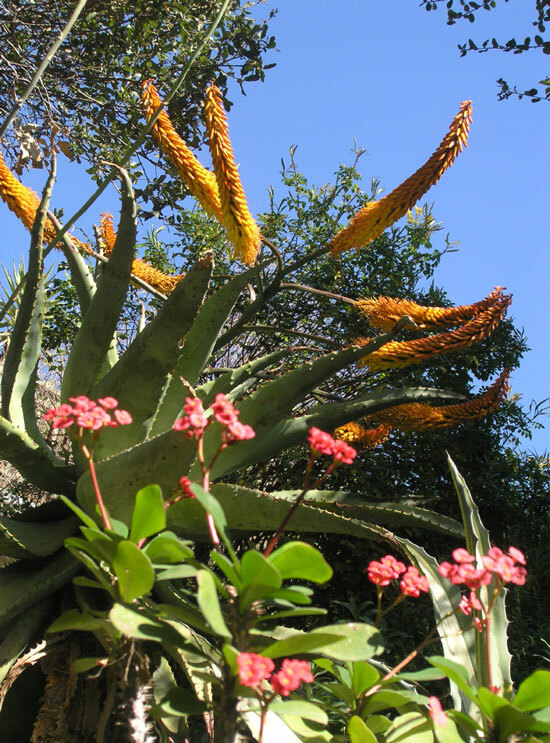 Then it will grow its enormous flower spikes. 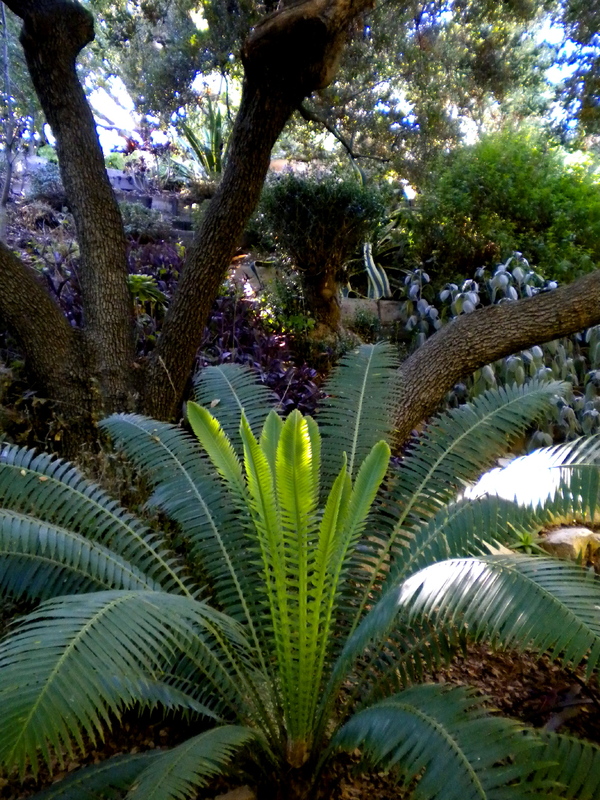 This plant from South Africa loves heat and sunshine. It grows quickly (but not as fast as its unruly cousin, Tecoma stans) and should be cut back and shaped in fall and after the first spring blooming. Bees love it. 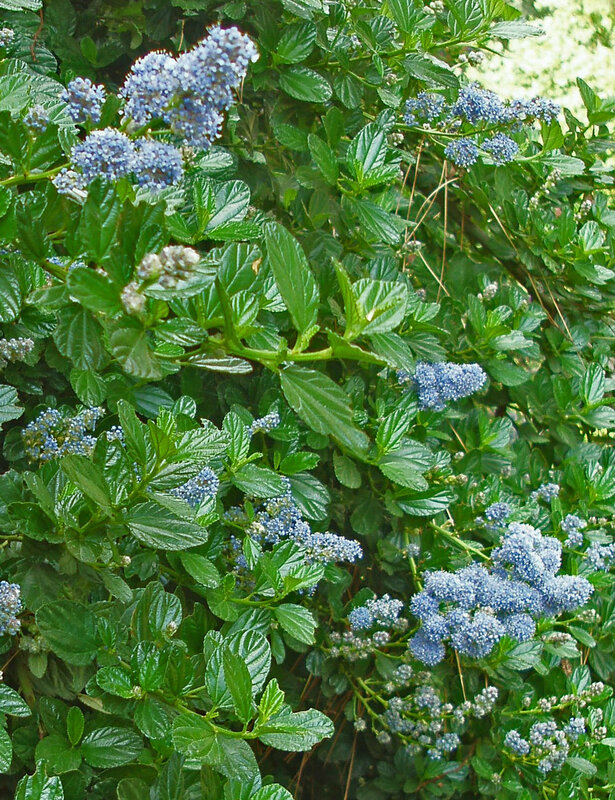 Isn't this gorgeous with its fat spring foliage? It should be planted in full sun and never irrigated. 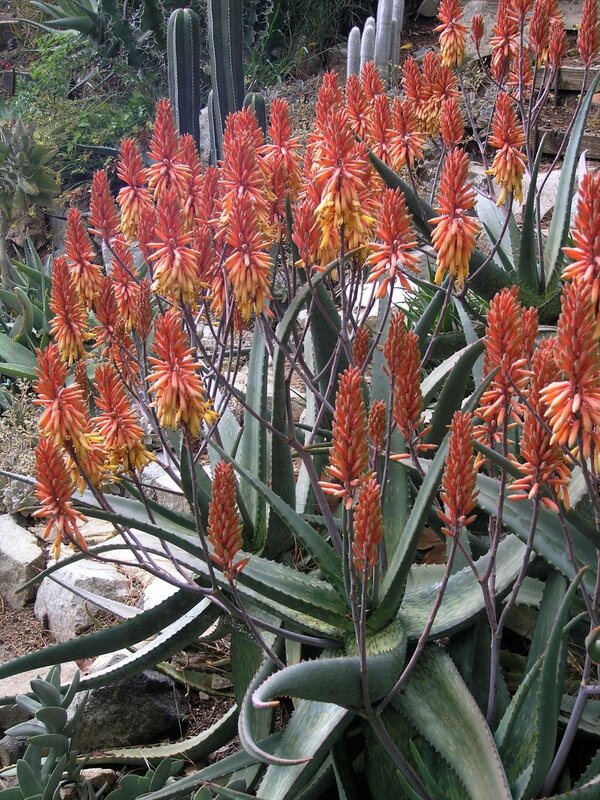 Thankfully, this plant is getting easier to find in general nurseries. All the native plant nurseries stock it. Look how well the color matches Teucrium fruticans, a completely drought tolerant plant related to rosemary and beloved by bees. They look very good together in a silver garden. Teucrium grows quite large over the years and plenty of space should be allowed between these plants should you use them together.